Just because Earth Day is over, doesn’t mean we can pack away our green habits until next year! In fact, now is the time to really incorporate sustainable habits into our everyday lives. What better way than through the clothing in your closet? Companies like prAna pride themselves on using organic textiles, green and sustainable living manufacturing processes and eco-friendly packaging to help keep the world a better place. 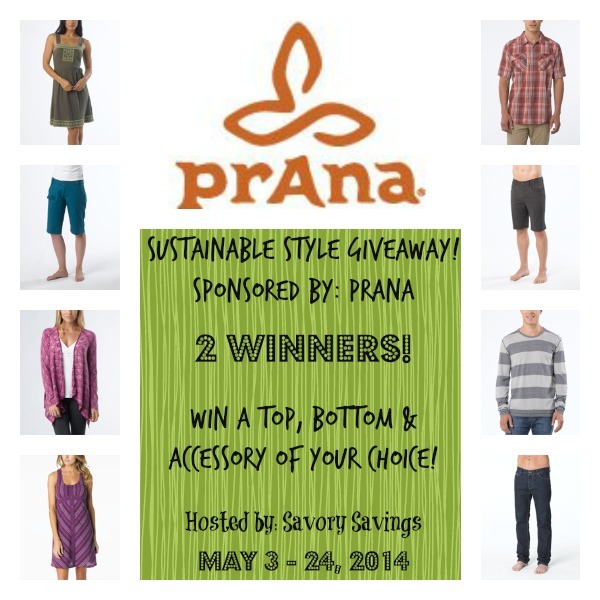 By incorporating clothing from prAna, you are supporting a healthier and safer eco-system, plus you will look fantastic! Krista over at Gloriously Green Gal (and Savory Savings!) shared her thoughts on the sustainable clothing from prAna and how they add bold styles with green practices that make for a fashion-forward line that will keep the Earth healthier, longer! It’s time to take it to the next level. Clothing is one of those things that we want to last a long time. Do we want it to last for too many years? i love the britt top!